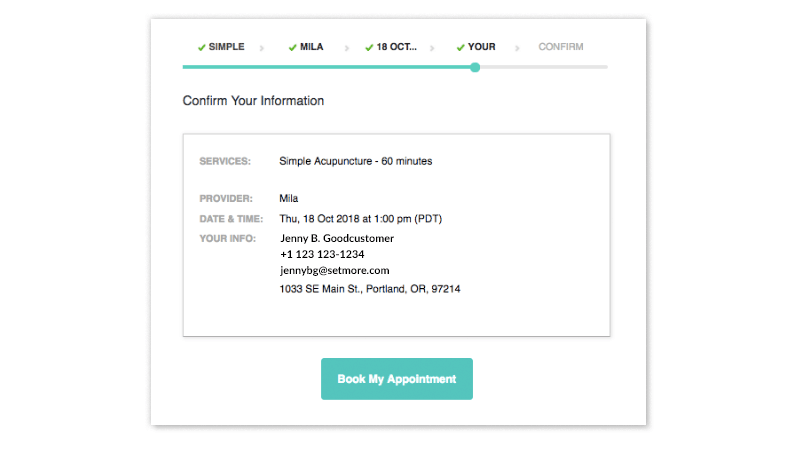 Every Setmore account comes with a free online Booking Page where your customers can schedule their next appointment online. We’ve already discussed the best ways to set up your Booking Page for success, and how to optimize customer traffic on your Booking Page. We’ve provided a non-branded PDF guide for using Customer Logins. Feel free to download and share this guide with your customers. Or print this guide and set it up next to your in-shop kiosk to help customers book their next appointment. In your web browser, enter your Booking Page URL in the web address field. Setmore-powered businesses will usually post this URL on their website or social media. 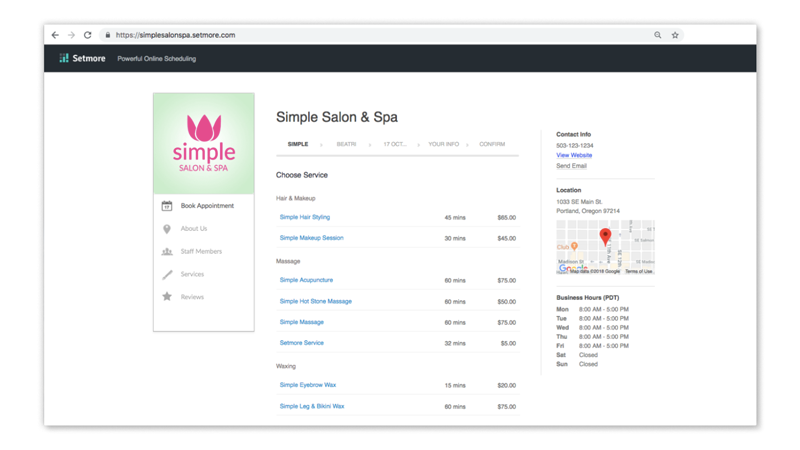 Note: The example screenshots in this blog post portray a fictional business called “Simple Salon & Spa.” This is just for demonstration purposes. Click on a day in the mini-calendar, and then select a time slot from the provided list of options. Sign in: If you’ve already booked an appointment with this business, you can log in with the username and password you previously created. Or you can log in with your Facebook or Google account. Create a new profile using your Google or Facebook account. Skip login process: This option may or may not appear. 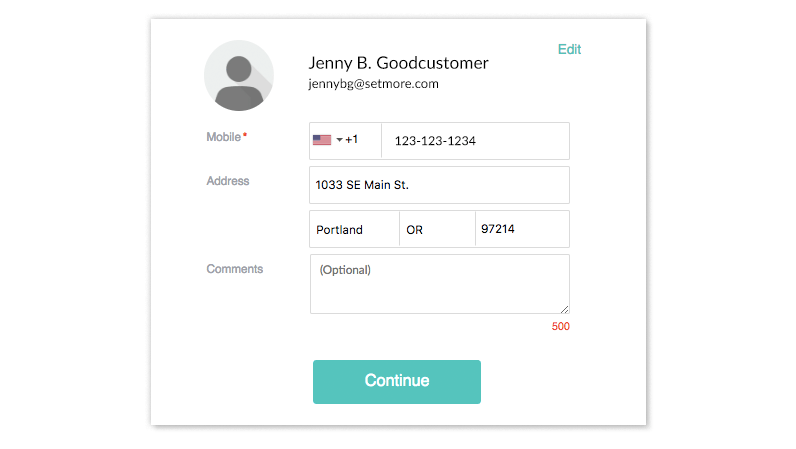 If offered, you can skip creating an account altogether. The Booking Page will remember your contact information for future bookings. 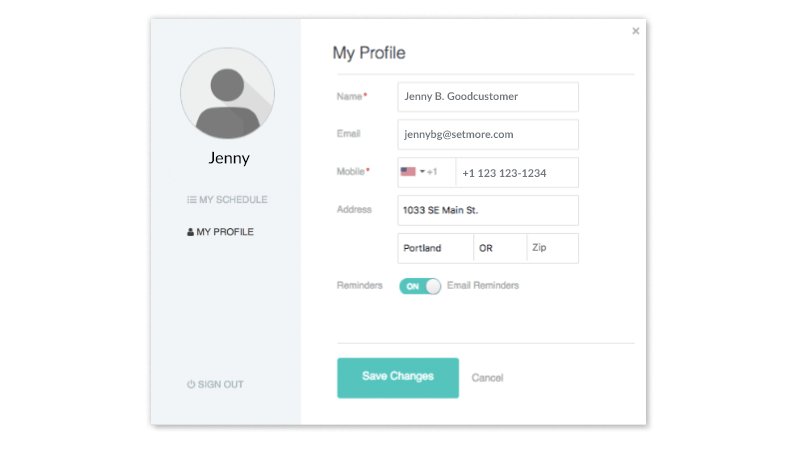 You can manage your reminder settings in a customer profile. You can view upcoming or past appointments. If allowed, you can reschedule an appointment online. Your contact information lets the business know who’s coming in for the appointment. Also, you can receive appointment confirmation and reminder messages. 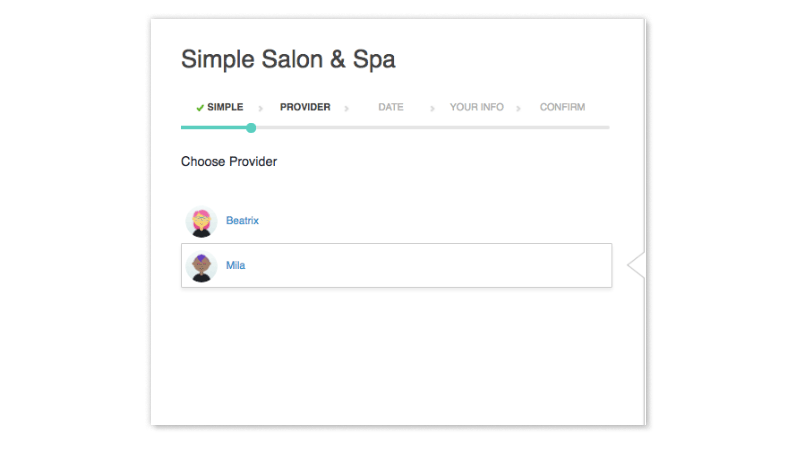 You’ll see all the details of your appointment presented on the final screen. If everything looks good, click “Book Appointment.” The next screen will confirm that your appointment was booked. You may also receive an automated confirmation email from the business. 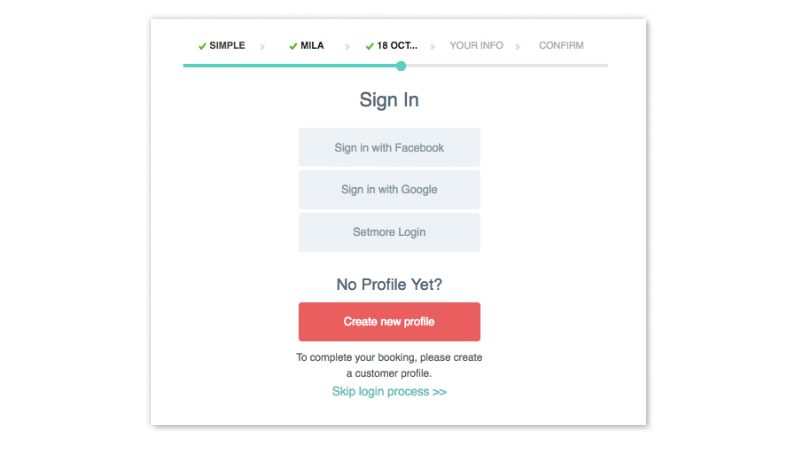 If the business has enabled the Customer Login feature, then you can log into your profile on the Booking Page at any time. Here you can see your upcoming appointments, and do some other useful things, which we’ll talk about below. 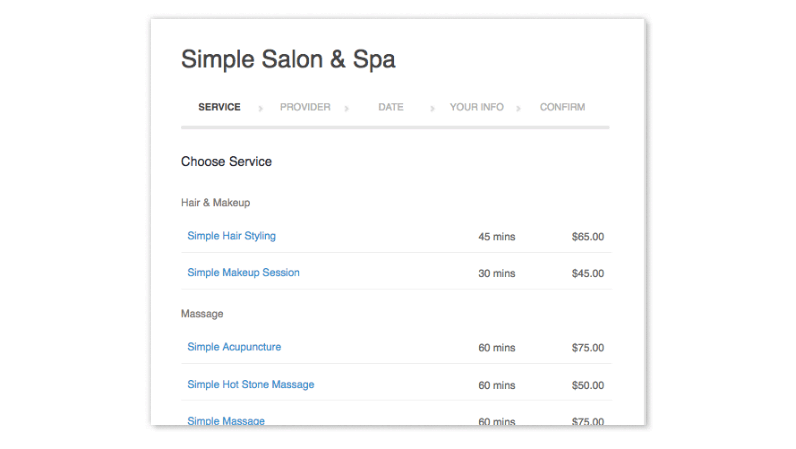 Navigate to the business’s Booking Page and click “Login” in the top right corner. 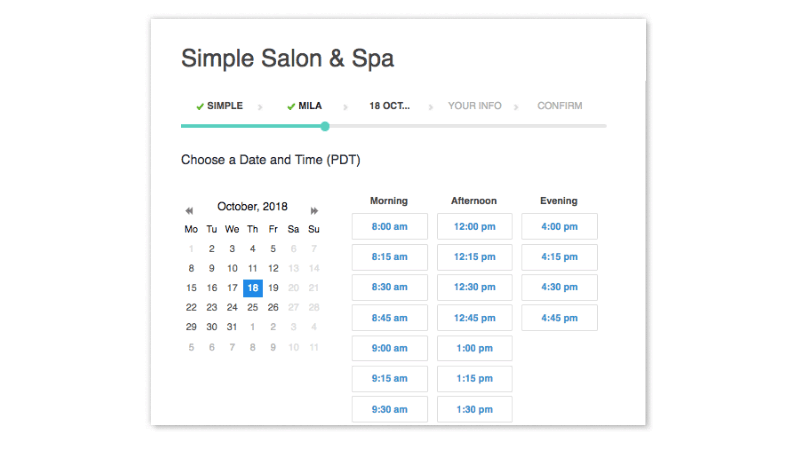 The My Schedule menu lets you see upcoming appointments. Use the dropdown menu in the top-right to toggle between “upcoming” and “past” appointments. Click the Pencil icon next to an appointment to reschedule (Edit) or cancel (Delete) an appointment. Note that this option may be disabled by the business, in which case you should contact them directly to cancel or reschedule an appointment. Here you can update your contact information or toggle email reminders on or off. Navigate to the Booking Page and click “Login” in the top right corner. 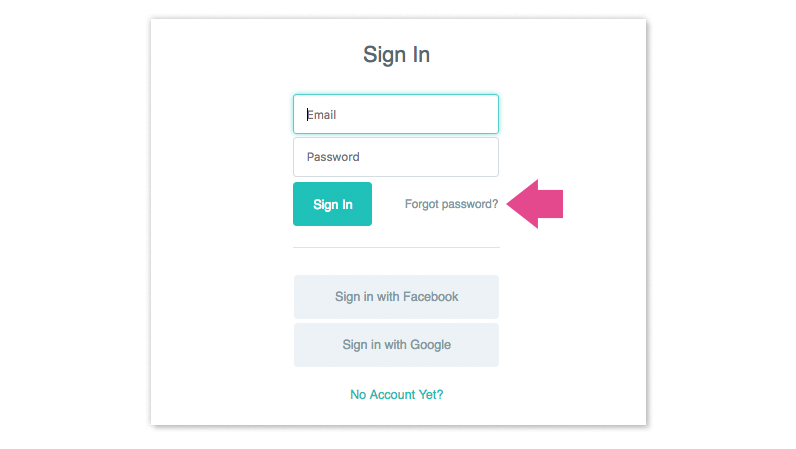 When prompted to log in, instead you’ll click the “Forgot password?” link. Where prompted, enter your email address and click the “Submit” button. The Setmore system will send you an email with a link to reset your password. 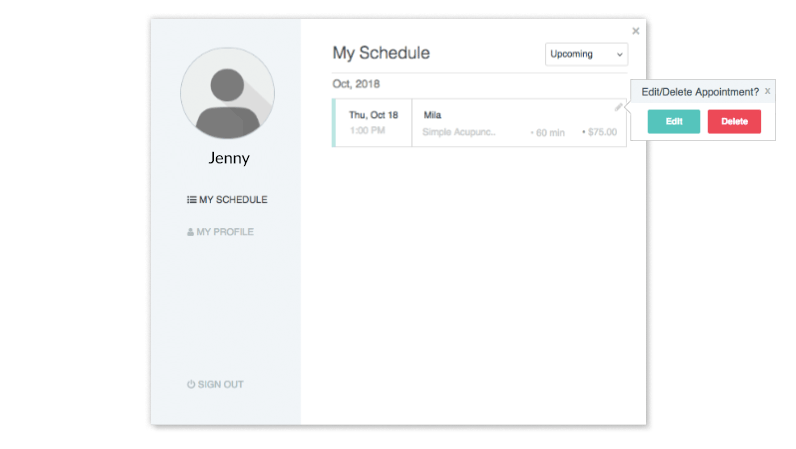 The skills you learned in this blog post should make it easier to schedule appointments online, or better understand the customer’s experience when scheduling online. Don’t currently use Setmore? Get a free online scheduling platform for your personal or professional use. Setmore is free to use and comes with automated email confirmations and reminders, multiple staff calendars and logins, a public-facing Booking Page, and more. Sign up in seconds, book your first appointment in minutes, no credit card required.